computer which is connected with a very fast and advanced network system. When someone types the web address he/she is redirected to desired website which is being hosted by a web hosting company.Choosing a best web hosting company is very important thing is seo.If you want to build a quality website then you should choose top hosting company because if your website gets down for sometime it has a bad effect on search engine rankings.Your site should not be down at all even for a minute.Bloggers of Pakistan always looking for the best hosting sites and it is very difficult to hunt the best web hosting company for online business. The main reason for this issue is not availability of PayPal in Pakistan. For this reason bloggers of Pakistan are unable to purchase the International brands.Web hosting companies in Pakistan sell the international brands in Pakistan.Due to the issue of unavailability of fast internet connection it is impossible to keep maintain the servers. Following are some of the best web hosting companies in Pakistan. It was launched on 21 december 2011 and is owned by Muhammad Saad Arslan Sadiq. Company claims that it has sub offices in Rawalpindi, Islamabad, Lahore and Ireland.Like other hosting companies it also has good plan and 24/7 customer support service.Global Hosting Service has main audience in Pakistan and India.It is quickly attracting the attention of bloggers due to recommendation by popular Probloggers.Its users say they have not faced any problem regarding hosting & support.This hosting has good reputation on social media sites also. You can view their detailed plans & pricing on their website. Askforhost is owned by Ehtsham jutt.It was launced in 2011.Askforhost has lot of clients in Pakistan as well as in abroad countries.Askforhost has own server in USA, UK and few days back askforhost launched its server in Singapore.Askforhost has very quick support.It has average 15-30 mints ticket response time.You can view their detailed plans & pricing on their website. 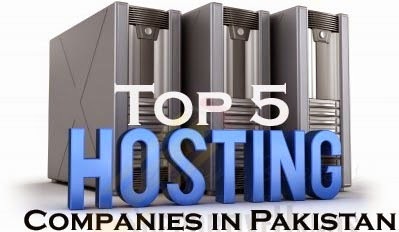 Hosterpk gets third number in our top 5 web hosting in pakistan list.It is owned by Jamsheed and its main office is located in Bakhar.Hosterpk server is located in Germany.It offers cheapest hosting for Pakistani bloggers.Hosterpk also has good support. This company is working since 2004 with international servers. This company is providing web hosting service and registration of domains with best quality servers and at affordable prices. The professionals of this company are always there to help you out related to web hosting any time.This is the most oldest web hosting company in pakistan. Previous articleHow To Check If Your Published Content Is Marked Copyright Or Original ? Next articleHow To Create Email Forwarding Account Using Your Domain Name?